Back to the iPad. The third generation (2012) iPad was announced on March 7, 2012, and have recently reached their new owners across the globe. How does it compare to its predecessors — the iPad 2 and original iPad? Should you get one? We’ll take a look at what the new iPad has to offer. Our review is based on a a 16GB WiFi iPad which we’ll be giving away to one lucky reader. So read on to find out how you can be a proud owner of a new iPad. What’s new? Without going into too much detail, Apple upgraded the new iPad to sport a Retina Display, better graphics performance, 4G (LTE) support, a better rear camera, a larger capacity battery and voice dictation. Some say that the upgrades weren’t significant, disappointing even. But unless you’ve held the new iPad in your own hands, I would advise you to keep your initial judgement to yourself. On paper, the upgrades may not seem like much but trust me, I haven’t met anyone who wasn’t blown away by the Retina Display alone. At the core of the new iPad is Apple’s custom-designed A5X chip, running the same dual-core 1 GHz architecture as the the A5 chip found in the iPad 2. The only difference here is the added power from a quad-core graphics engine to drive the new Retina Display. The new iPad now has 1 GB of RAM, twice the amount of memory found in the iPad 2 (and quadruple the amount of RAM in the original iPad, which was a measly 256 MB). What does this mean to the everyday user? Web browsing is smoother, switching between apps and multitasking is snappier, gaming is more amazing, watching videos is more enjoyable. And with the new, larger battery, you’ll be able to enjoy it all on the crisp Retina Display for 10 hours on a single charge. With prices starting at $499, the new iPad is available in 9 different flavours: 16, 32 and 64 GB WiFi, Verizon LTE and AT&T LTE models. Each configuration comes in either black or white and LTE models are $130 dearer than their WiFi counterparts. Considering that the iPad has significant role to play as a media consumption device, the 32GB LTE model is probably the sweet spot — and it will cost you $729, that’s a pretty penny. What are your alternatives? At around $600, you could get a 32 GB Samsung Galaxy Tab or the 32 GB ASUS Transformer Prime. However, if you’re willing to spend that extra bit of cash for a new iPad, rest assured that you won’t regret it in the long run. iPads are built to last, as are all Apple products. Speaking as an owner of the original iPad, surviving through iOS 3, 4 and 5; my first-generation iPad is still going strong. In fact, I can confidently say that I don’t feel the need to upgrade. Whether I want to is a different story altogether. With Apple’s minimalist packaging mantra, all you’ll find in the box are the new iPad and a couple of bare essentials: a power adapter, USB cable and some documentation. There’s not much to see here: a Getting Started guide, warranty information and hey, Apple stickers! Apple has always tried to reduce its carbon footprint, so you’ll never find excessive wrapping or packaging material — just what’s needed to ship the device safely to your doorstep. The new iPad’s design is similar to the iPad 2’s — they both share the same 9.7″ screen surrounded by a black or white bezel, a single Home button, a volume rocker and mute (or orientation lock) switch, dock connector, 3.5mm headphone jack, MicroSIM slot (on 4G LTE models), and a curved, metal rear panel. Pictured below, from top to bottom are the first-generation iPad, the iPad 2 and the new iPad. While there was a drastic leap in design from the first-generation iPad to the iPad 2, the new iPad is pretty much identical to its immediate predecessor. Right off the bat, the new iPad is noticeably heavier. In fact, I was surprised at how much heavier the 16 GB review unit felt compared to a 64 GB 3G iPad 2. Admittedly, the new iPad only weighs an extra 40-ish grams (0.09 lbs) but it was still discernible. Most of the extra weight is contributed by the larger battery, which has 70% more capacity compared to the iPad 2. However, most of the battery’s power is used to drive the Retina Display and ultimately, you’ll end up with the same battery life as the iPad 2, which is roughly 10 hours. Pictured below is a 64 GB 3G iPad 2 (on the left) and a 16 GB WiFi new iPad (on the right). As you can see, the new iPad is a hair thicker. Snap on covers for the iPad 2 probably won’t fit on the new iPad but sleeves and portfolio covers will fit beautifully. The new iPad ships with the latest version of iOS 5, which supports PC Free — so you will be able to power up and start using it instantly without connecting to a computer, provided you have a wireless connection available. I won’t dive into iOS 5 because we have an entire manual dedicated to the subject. Upon powering the device for the first time, I was taken aback by the gloriousness of the Retina Display. It’s something that you have to experience for yourself, no photo will ever do it justice. The new screen packs over 3 millions pixels on the 9.7″ display, with a 2048 x 1536 pixel resolution. Just to put it into perspective for you, most 27″ LCD monitor will typically have a resolution of 1920 x 1200 pixels — and the new iPad has more of it, packed more densely on a smaller screen. However, don’t let these numbers manipulate you — go out, visit an Apple Store, play with the new iPad and you will finally understand what the hype is all about. Having 4 times the amount of pixels on the first-generation iPad and iPad 2, the new iPad’s screen is more vivid and drastically clearer than its predecessors’. Text is displayed more precisely and images are truer. Comparatively, the iPad’s and iPad 2’s screens look disgustingly ancient. The iPad’s Retina Display (above) and the display from an iPad 2 (below). Pixels are less perceivable on the Retina Display, making it a lot more realistic. Jargon and specifications aside, how does this affect everyday use? With clearer text, web browsing, emailing and reading ebooks on the new iPad are more enjoyable. And coupled with the A5X’s graphics engine, 3D gaming on the new iPad is taken to a whole new level of awesome. The new iPad’s screen does seem to have a slightly yellowish tint compared to its predecessors. In the image below, you’ll find (from left to right) a first-generation iPad, an iPad 2 and the new iPad, all on the same brightness level setting; yet distinctly different. One of the more welcomed upgrades in the new iPad is the revamped rear-facing camera. What used to be a lowly 0.9 MP camera in the iPad 2 is now a 5 MP iSight camera, featuring the same five-element, f/2.4 lens setup found in the iPhone 4S. Images taken with the new iSight camera are a huge improvement over the iPad 2 with more detail and contrast. Auto-focus is snappy and it also features face detection. The front-facing VGA camera remains unchanged. Below are two snapshots of my Facebook business cards, which were a limited-time offer from MOO. The image on the left was taken with an iPad 2, the one of the right was taken with the new iPad. And here are cropped sections of the above snapshots shown in real size. Despite how the iSight camera performs, it’s quite unlikely that you’ll be using it as your primary camera because, let’s face it, you can’t carry your iPad everywhere. It’s one of those features that is convenient to have but hardly used. That said, it also sports 1080p video recording with image stabilisation. Paired with iMovie for iOS, the new iPad is a great tool for amateur videographers. Instead of featuring the full-fledge personal assistant capabilities of Siri, Apple decided only to implement voice dictation into the new iPad. Voice dictation allows you to tap on the microphone button and speak the text whenever a text field is present. You can use it to compose emails, notes, browse the web, and so on. So far, I found it to be relatively accurate and easy to use but coming from the original iPad, I’m more used to typing, and sometimes even forget that Voice Dictation exists. If you’re a quick typist, you’re better off typing the text — it’s less frustrating. The iPad undoubtedly remains the leader in the tablet race and a highly desirable product. If you haven’t owned an iPad before, you should definitely consider the new iPad — it’s a great all-rounder. If you currently own a first-generation iPad, the answer is a resounding, “Yes” without a shadow of doubt — the new iPad is worth the upgrade. If you’ve got an iPad 2, I’d say you should be pretty happy with your device. Like I mentioned earlier, iPads are built to last and if you have survived this long without a Retina Display, you probably won’t miss it once the hype subsides. If you’re lucky enough, you might just win one. We’re giving away this 16 GB WiFi review unit to one lucky MakeUseOf reader. Here’s how to enter. How do I win the new iPad? The giveaway is over. Congratulations to our winner, Denise Richardson! We’ve sent an email to you. Please get in touch with us before April 20 to claim your prize. This giveaway begins now and ends April 11th. The winners will be selected at random and informed via email. Or you are still contacting the winner? Winner has been picked and posted, see top of the article. The contest ended yesterday.. When is the winner picked? And is the winner annouced on this page in an update? The winner is picked a day or two after the contest ends and posted at the top of the article. You can check it out now. Thank you so much for organizing such a great giveaway. This giveaway ends April 11th.!!! hi,, this is a nice forum.. how can i get one of your products here? can i join even if im from the philippines? i'm staying on this page for the past 1-1/2 hours ,!!!! I Hope i win good look every one!!!!!!!!!! It was announced already. Denise Richardson is the lucky winner! got in under the wire! Put it off because the odds of winning are so slim, but I broke weak because I want one. Nice giveaway.I have never won a giveaway and I know I am not gonna win because there a very few chance out of 300+ people that I am gonna win.I am not gonna get greedy and say I need it because everyone participating needs it.Nice review.I hope when I get a good job and I am able to afford it,it will be my luckiest day. thanks for useful review .. n waiting for result. with this elaborate description you must have been taken with this new ipad. for me wining one will be like heaven. to which countries this give away applicable? Our Giveaways are available worldwide. who will be that lucky one? Yes Thanks for the chance with the GREAT giveaway and will we see the lucky winner here! Good luck to all! Nice giveaway ! Good Luck Everyone ! What a ditz I am!! Entered. Tried some of the above "tricks" to get the giveaway code, but no luck. Why is it so difficult? Haven't any iPad yet , hope this time i can . Would love to have an IPad. My brother, brother-in-law, son-in-law, and nephew's all have one. We love our Macs. Never carried a iPhone, iPad, i****..!! Will i Finally carry one, lets give it a shot..!! I never won a thing! An ipad would be wonderful! Me either seriously!! It would be amazing! wo0ho0!! my first apple product ever if i win!!! Always great giveaways. Thank you for the chance of winning one. I NEED the iPad! Hoping I win the giveaway! Great review! Factual, clear and to the point. It looks most desirable, even with the increased weight. Wish I could afford one, but will just have to be lucky! Thanks for reviewing the product, nice detailed review is all what a buyer would like to read.. This review made me want to have an iPad even more. It is just so sad that I could not afford to buy one as of the moment. So, I am keeping my fingers crossed! This is for me and my kids!! Thanks Jackson! Still crossing fingers here! Which code would you suggest that I try next? Larry, right-click and the image and click "Reload Frame"
Thanks. I took a wild guess and got it anyway. But that hitch is another reason to stop pimping for facebook with these things. What code would you suggest that I try next? I also noticed, the review was published on the day of my birthday! =D haha! Hmmm, maybe time for me to ditch the HP Touchpad and BBerry Playbook?? Is this giveaway US only or I can receive the iPad in Brazil? unless stated otherwise, our Giveaways are open to users worldwide. As far as I can see, there are no geographical limits on this one. Good luck! Its like a dream coming true for me, coz I know I'm not gonna be able to buy it ever. I just hope and pray to win :(..
After I click the submit button, this message appears. I did 3 times but always ask for a new email. this is the message. This field requires a unique entry and this value was already submitted. From that step, its imposible to go ahead. I'm living in India so how will the iPad get delivered to me. Will there be any extra charges? By post. Nope, no extra charge. IPad great give away. I have a mac and would really enjoy having an Ipad. Love your site. Cool review! Would love to win this new ipad3 for our special needs' daughters! hmm.. new ipad giveaway. wish me luck.. I'm a PC and would love to become a switch hitter! Your reviews are top-notch. I have made mch use of many of them. Bravo. Thanks for this giveaway! wish i am the one. 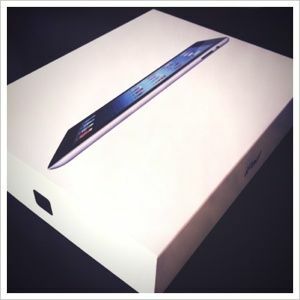 i always dream to have it ..
ipads are good if you have the money to buy one. as much as i would love one i am flat out justifying the cost of my desktop. Great job on the review. I have the iPad2 and your comments are spot-on. For very long time i am wishing to lay my hands on a tablet & what could be better than "ipad"..Thanks for this amazing giveaway.. I've heard a lot about the iPad, and even though I have a rooted Noon Color with Android Graham Cracker on it, I would love to WIN an iPad to utilize some of its different features that my Nook doesn't have due to the constraints of lack of hardware and software. I really think this could be the top of the line for the hand held pads. Wow, what a great giveaway! I'd love to win an iPad! I'm on this site all the time and forward it to friends that also find it helpful. hmm it says my email is already entered so it must have started before today duh, better to check than not to try and win this right? Thanks!! I would love to win this, as a student being able to work on the go is very important. Excellent Review,I am curious as to where one could obtain a code no. as I am not interested in a facebook acct. as I'm an older fellow and not interested in all that.Thanks again!! Winning my own ipad will release me from going to the store so my kids can play with the ipad(s) on display. wow..! great giveaway..! wish to win...! its an expert review i think so its lovely to see the uses and the features that are very good therefore i love to win. Great to have this kind of Apple's Product. Thanks for make this Giveaway comes true. I had got the Case but not the iPad itself.. So I really hope to get iPad. Have always enjoyed the articles and have learned more than expected. What about the faithful readers/subscribers that do not want any part of facebook or twitter? Are you that desperate for "Likes" that buying votes is the only way you can get any. That is so sad. I would love to register for this but cannot (do not want to either) access Facebook or Twitter. Can you provide another option to registering for your giveaways! It would be greatly appreciated. Really nice reviews. Good review! I hope I can get one for myself. Temple Run is the Best Game! I tried one I didn't like it. They say the Kindlel be much more expensive, any prices yet? Between $249/$299 on the release probably, but nothing is certain. Let see how lucky is my luck to get lucky with the new lucky iPad.If i get i will be lucky one because i cannot buy an iPad due to some financial crisis! Lets see how lucky I am) Great review by the way, they really stuck those pixels into that device. Would love to win for our channel reviews. Would love to win this iPad. A big Apple fan and the owner of a large YouTube channel, "GeekHelpingHand" (www.youtube.com/geekhelpinghand). As I cannot afford an Ipad, this is the best way to get it!! If I really win this ipad, I will use it in my studies and in reading ebooks and ofcourse itunes U!!! Hope this dream comes true!!! Im glad this falls on my birthday! This would be a nice birthday gift! haha. Is this applicable for other countries such as India? i need a update my 1st gen iPad I wish to win that!! I feel kind of left out since I've tried many giveaways unsuccessfuly please upgrade the mobile sitd not all of us have computers. I'm from Kenya. Thanks so much for the review, it's always nice to get an open and honest review written so people like me that are not highly tech savy can understand. One if these babies would make life a whole lot easier, thanks! Thank you for the opportunity to enter your sweepstakes! My birthday is on April 11th...would be damn cool if won the iPad. You guys rock, whether I win or not. The new ipad review and giveaway is worth the stuff,its what you make of it. Can I participate from other country? Please oh please i hope i win the IPad!!!!!!!! I really want one but cant afford one!!!! If not its ok thanks for giving me the opportunity!!! I would like an iPad to replace my burdensome laptop just to get free internet access in public places. It's about time that I should have my first iDevice! Sure it is. Try again, please. how badly one should wish to win that!! i feel that. Great review. Wondering if I should give my ipad2 to my 20 something daughter and get the newer one? Thanks, Sandy! Well if you're able to afford it financially, I'd say, "Why not?" The iPad 2 is a great device but the new iPad is even better. So if you have a reason and the means to get one, go for it. I echo miftah, I would love to win. can not afford to buy one, but sure could afford to win one! Giveaway code page is down. Very nice review. I used to have an iMac G5 that would argue against your claim about how Apple "always named" it's computers. Well, you're right. Apple did used to name the iMacs to reflect the speed of the PowerPC processor (G3, G4, G5) with every new generation but since the switch to Intel processors in 2006, their naming convention changed as well. Now, iMacs are simply known as iMacs, not iMac i5, iMac i7. But hey, who am I to say what Apple is thinking? I'm one of those guys who think that Apple is trying to kill optical media. We'll see. Nice review & Awesome giveaway!! This is indeed the best review i have ever read for this beautiful yetpowerful device. So well artarticulated. Thanks for the wonderful share. Well for now i have done the above steps. Thanks, Harmesh. Giveaway winners are chosen randomly so keep trying and you'll get there. Well, I can't speak for Facebook and their lack of mobile support for tabs and applications. So I would advise you to continue doing what you're doing. You could also view the full Facebook website via your mobile, just don't use the FB mobile app. A greater info than that of apple website + a giveaway!! what more can you ask for? i mean, MORE 'new' IPAD GIVEAWAY Jackson! Nice review. I cant wait for it to be in my warm comfortable hands. A brilliant review, and good photos aswell. Thanks, Nathan. I'm glad you liked it. Thanks for hosting the giveaway. Also, I loved the review. Now I'm dying to get my hands on it. One of the most comprehensive reviews of iPad I've come across. Precise and no-nonsense. Thanks for hosting the giveaway too. I am dying for one!!!!!! There's going to be so many entries! I would love to have an iPad..
Ipad 3/"The new ipad" makes a 10 year student to 80years old granddad screams. Thats the power of steve's the new ipad. I usually enter contests pretty half-heartedly, but I really, really wanna win this one! Hope I win. :) Never won anything here though I've entered many. I have not used an Apple product since the Apple IIE. Would love to try an IPad! It would be so kewl for my first iPad to be one of these! Thx guys for the review and giveaway! I can't wait to check out the new ipad! i've do it! i want it so much!!! Thanks for such a thorough but concise review--it is one of the more informative ones out there. Thanks also for the terrific giveaway! Thanks for the in-depth review and the giveaway. Hoping for the best. By the way what's your take on overheating issue? Is it so bad as the people seem to say on the web? Thanks and it wasn't a problem for me. I used it to play Sky Gamblers: Air Supremacy for hours and I didn't really notice it "overheat". It does tend to get a bit warm but it surely isn't cause for concern. You guys rock! Your blog is awesome!!! Let's do it! Your blog is awesome, you guys rock!!! Wow, I would love to win the new iPad 3 for the family. Thanks for the chance. I would love to win this SOOOO badly. I always wanted an apple thing, i just love the Apple. There is no way i can buy it right now but i can surely win it and makeuseof is giving me an awesome opportunity. how can anyone miss that? Thank you for the opportunity to win an iPad which I can only dream about since I cannot afford it. Thank you for the opportunity to win an iPad which would be very nice because I can only dream about having one. I would love to have an iPad. My brother,brother-in-law, nephews and son-in-law all have one and really like theirs. We are all mac fans. Nice review!awesome giveaway like it!hope I'll get one! Cool giveaway..... I need an ipad to go with my iphone and give something the kids can play angrybirds on and keep my phone free for calls. Nice review! !thanks for the awesome giveaway! Thanks for the in-depth review & of course the awesome giveaway! nice cool giveaways.. i love this phone.. i want to have it.. Already Shared to my 5K friends on Facebook!! Right click on the image and select "Reload Frame"
I just want to say that I saw the new iPad on display and it is cool, I have never owned an apple computer or device that is why I enter to this giveaway! Thanks for this giveaway! Good luck to everyone! Thank you very much for giveaway. I really like your efforts. If I win this ipad , I will give away it to my cousin. Waiting for ipad. wow this article was damn interesting. At first wasnt much interested on the new iPad but after goin thru this article I'm cravin for it. Hoping for it in the Give-Away! I would like the new iPad, but can't afford it. Thanks for giveaway. Excellent! Really cool giveaway. I'd like to get the iPad, for my wife for her birthday. I hope that I will succeed. Really GREAT!!! Thanks Makeuseof for another great giveaway and chance!!! Regards. Wonderful giveaway for makeuseof readers. Everyone out there seems to just love Apple products and hope the lucky one wins the new ipad. From the article, it seems the new ipad is one cool gadget to be possessed. I'd love to win an iPad, so I can see what all of the hype's about. If I win, I promise an enthusiastic dance of celebration and a 'huzzah' directed towards the makeuseof site. Perhaps even a 'hoorah' or a 'woohoo!' if it's as exciting as everyone says. Giveaway is for only U.S. residents or for whole world?? What are your feelings about the heat? The gossip going around the web is that it runs too hot. It might get slightly warm during gameplay but it's really nothing to worry about. wishing and hoping.???????? ???????? ???????? "most 27? LCD monitor will typically have a resolution of 1920 x 1200 pixels"
And f**k all those competitions/draws requiring usage of f**kbook, no way. That's alright, no one's forcing you. entered 3rd makeuseof giveaway. InshALLAH will win this time. @king shedrach "...more easier..." is wrong... its just "easier". life is more easier with the new latest ipad. Would love to win an iPad as I have not got one, I tried one and loved it so count me in for this and thanks Jackson/Makeuseof for trhis giveaway. Another great giveaway thanks Jackson/Makeuseof for this, would love to win an iPad 3 as it is a brill tablet as I have not got one. I have tried an iPad and loved it and with 16GB it should be fine for everyday use. Count me in for this please and thanks again. We could really use one, or two if you've got an extra, at Cons. Who doesnt like ipad :) Bring it on. Awesome.... Count me in !!!! Woooow....... Awesome giveaway. Thanks makeuseof.com. I love that site. This one's for Mom if I win it! Thank you so much for such a wonderful contest, take part in this contest because I have never possessed any thing with the famous apple logo. One of the reasons, not ownership of the famous apple logo are the costs, but unfortunately in my country this kind of product is very expensive, only colloquially speaking on such benefit can afford only "real businesspeople", unfortunately this kind of people do not belong, I'm poor student. Therefore, even more I wanted to win, it would be a wonderful surprise. So if I ask here, is very please to appoint me, and please do Count Me. Cool giveaway. Hoping to win!! As a disabled vet it is hard to purchase such expensive items like this, so I hope my email inbox gets good news. I don't have Facebook, so I can't enter the contest, but can you talk a little more about the battery - you mentioned that the increased battery capacity is largely offset by the screen, so it ends up with about the same life as the iPad2, but you don't say anything about charging times. Does the increased capacity significantly affect the time it takes to charge from empty? Also, can you charge the new iPad from a USB 3 port, or do you have to use the supplied charger? Apple supplied the same 10W power adapter so yes, the charging time has increased. It can also be charged via USB albeit much slower. Who wouldn't like to win Ipad 3? Great giveaway. hope that i could win that free i pad. apple products have been always beyond my budget. thanks you for give away, it'll be perfect give for my birthday ? Been waitin' for this one! Looks pretty great. I still love my iPad 2. Such a great business tool! But the new retina display really makes the new iPad shine. I read a lot of books using my iPad, so this is really something to look forward to! And you should! The iPad 2 is still a great device by any means. Now the waiting game begins... Thanks for the chance, guys! Good to see you again, Leo. Really appreciate this website! I have learned lots, and can't wait to see what the future will bring. Been a regular to this site for some time and love it! Would love an iPad even more! Its really awesome how you reward your readers with so many giveaways. You have given away some amazing software and tech, this is definitely a piece I would love to win. Thanks Jackson! Too bad you need Facebook to see the code.